RAPAPORT... Danish jeweler Pandora expects revenue to fall 3% to 7% this year, after weak results in 2018 prompted an overhaul of its brand and marketing activities. Revenue was flat at DKK 22.81 billion ($3.49 billion) in 2018, but profit fell 13% to DKK 5.05 billion ($772.5 million), the company reported. To restore growth, Pandora will focus on improving key elements of the customer experience, including its store concept, products and marketing. It recently embarked on a program to reduce costs, and is now addressing the lack of significant brand identity, poor marketing, and over-promotion of merchandise, the company explained. 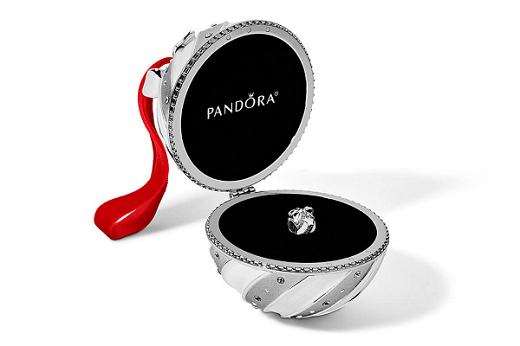 Pandora has also identified a need to reignite consumer interest in its charms, after sales have stagnated recently. “[The recent focus] has not provided new and existing consumers [with] sufficiently strong incentives to buy, wear and collect multiple bracelets and charms, which is the backbone of Pandora’s offering,” the company noted. Pandora will launch a new bracelet platform this year, including an online bracelet builder, which the company hopes will induce customers to buy and collect more charms. It will also reduce its promotional activities between major gift-giving periods, to encourage consumers to buy merchandise at full price rather than waiting for the next sale. The jeweler will initiate an inventory buyback program to reduce the amount of slow-moving stock on the shelves, and to promote new products. Its visual identity, store concept and marketing plan will also become more modern and targeted. The company expects to spend DKK 2.5 billion ($382.4 million) on the restructuring between 2019 and 2020, with this year’s portion amounting to DKK 1.5 billion ($229.4 million). The jeweler estimates the program will save it DKK 1.2 billion ($183.6 million) annually. Its sales outlook for this year is on an organic basis, excluding the impact of activities such as mergers and acquisitions.